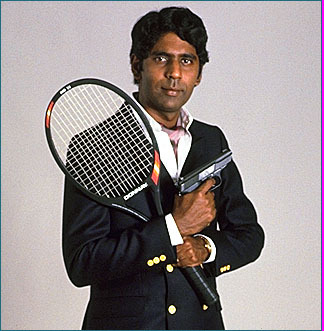 Among the first Indians to break onto the professional tennis scene, Vijay Amritraj continues to help communities throughout India. The Vijay Amritraj Foundation supports numerous charities and seeks to address social problems. Among his initiatives are rescuing children sold into prostitution and providing healthcare, education and care to desolate families. His son Prakash Amritraj is showing lots of promise and along with Somdev Devvarman, is giving India some new hope in singles.